Fremont was laid out in August 1856. The town site was named for John C. Fremont, the new Republican Party's nominee for president in 1856, although Democrat James Buchanan was elected. Between 1842 and 1844 Fremont, then a U.S. Army topographical engineer, led two expeditions to explore the Great Plains, Rocky Mountains, and Great Basin. In September 1842 Fremont and his men passed through the Platte Valley near here while returning east. Fremont became the county seat of Dodge County in 1860. 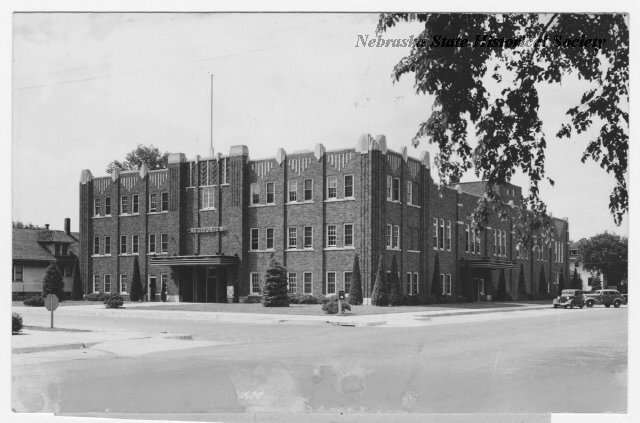 “Fremont, Nebraska,” Explore Nebraska History, accessed April 18, 2019, https://mynehistory.com/items/show/158.